Last week saw the Chinese hit back in the trade war that erupted between the U.S. and China in March. The Chinese appeared to be measured in their response, only targeting a far smaller dollar amount of good than the U.S. did in the first round. Yet the new Chinese tariffs are only a part of the retaliatory story. The real danger comes from their new oil futures contract they also launched on the Shanghai International Energy Exchange last week. This represents a direct challenge to the dominance of the American dollar in international trade and reserves. 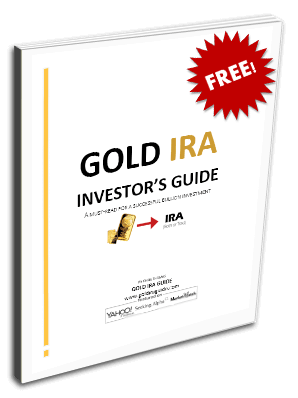 It stands as a stark warning of why you need IRA-approved gold in your retirement portfolio. A threat to the position and value of the dollar reminds you that gold makes sense in an IRA. Now is a good time to start considering gold IRA storage options. During the month of March, the United States imposed 25 percent tariffs on steel and 10 percent tariffs on aluminum. Many allied trading partners (like Canada, Mexico, Australia, the EU, and others) received special exemptions from the tariffs. China was conspicuously absent from this list of countries. Another set of up to $60 billion in import goods tariffs were later enacted specifically by the U.S. administration on Chinese goods. President Trump claimed those duties that targeted the Chinese directly were in response to their theft of American intellectual property. Economists and investors nervously braced for Beijing's retaliation. Instead of hitting back with a similar dollar amount though, the Chinese favored a more considered approach in their response. China elected to concentrate tariffs on 128 American goods whose import value totals a mere $3 billion. This is a tiny percentage of the $115.6 billion in American goods imported into China during the year 2016 per United States Trade Representative office data. This makes it a cautious response so far. The irony is that China seeks to position itself as one of the great world trade champions. Meanwhile, it restricts foreign competitors' from accessing the Chinese markets. Those that wish to trade or manufacture in the Middle Kingdom must sign on with Chinese partner companies. Many foreign corporations find themselves ordered to deliver proprietary technologies in order to be able to operate in the Chinese market. This seemingly benevolent attitude masks the real Chinese intentions. In fact Beijing was engaging in a false front with the tariff response. Their true retaliation has been months in the making. Most news outlets failed to stress the importance of the true Chinese response in the trade war that represents a far more dangerous and dramatic action. This is their new oil futures contract. On Monday, March 26th, China launched its first market to enable foreign based investors to purchase and sell crude oil in the national currency the yuan rather than U.S. dollars. This represents their most vigorous endeavor to disrupt the American dominance of international trade by far. The Shanghai International Exchange began trading this crude futures contract last week that permitted parties to exchange oil completely in Chinese yuan. Producers and buyers can buy the contract and take oil delivery on a particular date or hedge against changes in pricing. Investors use them to speculate on movements in the price. This new futures contract proves to be the first one that foreigners can participate in which is entirely yuan denominated. It will allow Beijing to limit its costs of oil imports. More importantly it will move the country away from relying on dollars. The contract saw a first day of trading involving 15.4 million barrels of crude oil equivalent. Some of the first traders were important to note. The initial transaction involved the leading global commodity trader Glencore plc. Europe's largest oil company's subsidiary Shell International Eastern Trading Co contracted to purchase oil denominated in yuan from the largest oil refiner in Asia Sinopec later in 2018. These were ominously important trades that are not taking place in U.S. dollars any longer. While the dollar is still the key international trading and reserve currency, this has already begun to change over the past year. The International Monetary Fund has estimated the dollar share as a part of worldwide currency reserves declined to the lowest point since early 2017. The dollar still represents 63.5 percent ($6.13 trillion) of global amounts, but the noticeable flows away from it are already a telling sign. China only keeps adding to its enormous dollar holdings ever year. Importantly, it funnels these greenbacks back into U.S. Treasury bonds and also worldwide commodities markets. In this virtuous cycle for the United States, China supports the U.S. debt market and enables the country to continue spending more than the government realizes in tax receipts. China picked up in excess of $130 billion more dollars from January through October of 2017 as noted in TIC data tables. In November, the Chinese trade surplus exceeded $28.8 billion. This represented a 12.7 percent increase over the prior same year period. If Beijing succeeds in increasing crude oil futures trading to additional commodities, this would diminish the needs of foreign treasuries and central banks to stockpile dollars. Instead they would need to build up their holdings of Chinese yuan. Today those only account for 1.12 percent of the world currency reserve totals per the IMF. As China gets away from using dollars in commodity trading, this would decrease its total dollar holdings as well. It would have less of them to send back into Treasury purchases every month. The end result would be higher interest rates for the American government and corporations. A weaker dollar would also become the norm. An increase in the depth of the new Chinese commodity market will be good for China, but bad for the U.S. and your investments denominated in dollars. This is why you want to hedge your portfolio with IRA-approved metals. You can buy gold in monthly installments now, making it easier than ever to acquire the ultimate historically proven safe haven.